St Clair Dental is your one-stop-shop to cover your every dental need. Our caring team of dental professionals have years of experience in many areas of dentistry including preventative care, cosmetic and implant dentistry, sedation, same-day and emergency care, hygiene and patient education. 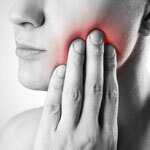 A dental emergency can occur at any time. We offer appointments on the day to relieve your discomfort and help you find an efficient solution. If you need urgent attention, we will see you promptly. Read more about emergency dental care. To restore a damaged tooth, dental fillings are available in a variety of materials such as amalgam, dental cement, gold and composite. A filling can prevent infection from spreading and save your tooth from extraction. We offer tooth-coloured fillings that are both affordable and durable. Read more about dental fillings. End your dental worries with inhalation sedation. You’ll relax and feel at ease during your appointment, knowing you’re in the capable hands of our gentle team. Read more about sedation options. The use of composite resins ensures an accurate match to the colour of your existing teeth. It’s bonded within 20 seconds and allows you to eat or drink straightaway. Available in different shades, translucencies, and toughness, it’s effective in restoring small or medium cavities. Contact our friendly, helpful team today to book your appointment! We offer Saturday visits that fit in with your busy schedule.